Kristina grew up in Belgrade, Serbia, where she was involved in all sorts of sports, from swimming and cycling, to Aikido and kick-boxing. She played around with yoga poses since she was a toddler, and with the help of Sivananda’s Companion to Yoga, she practiced on her own and with her dad until her teenage years. She started to dedicate more time to Yoga when she moved to the US in the early 2000s. Her teaching journey began when she found OM Factory in 2009. She discovered Aerial Yoga soon after, which brought her so much joy that aerial practices became her primary focus. Kristina is a licensed massage therapist in the state of New York, and is currently pursuing her masters degree in Acupuncture. She weaves all her accumulated knowledge into her classes making them unique and challenging both for the body and mind. You can find her teaching Aerial Yoga, Aerial Core, Aerial Blast, Fit to Fly, and an occasional Vinyasa class. 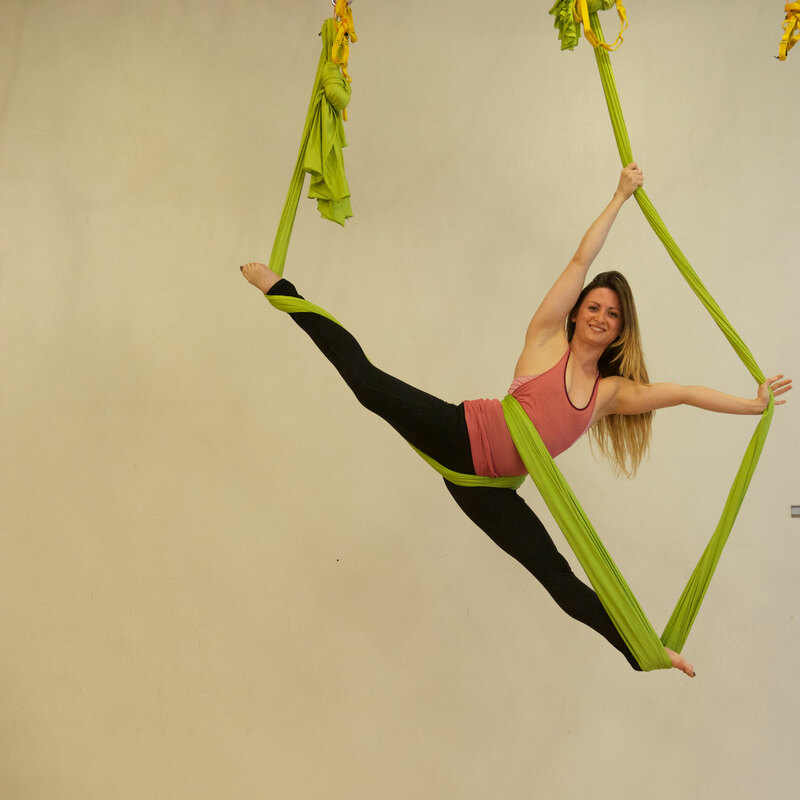 She is also one of the co-creators and lead instructors for OFSY's Aerial Yoga Teacher Training Program.